Craig at our Banbridge store posted a YouTube video yesterday of a product demo of the fantastic Delonghi Nespresso EN520 coffee maker. In the video he will show you just how easy it is to make a latte every bit as good as you would get in a coffee shop, at a fraction of the price. 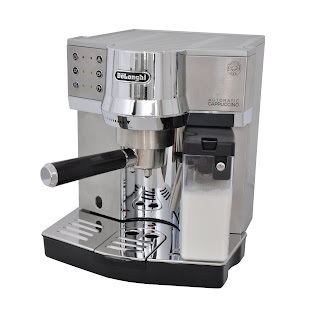 So if you would like a coffee shop quality coffee in your own home with minimal fuss why not take a look at the video and then pop on over to our store at www.lunneysonline.com and get your very own Nespresso coffee maker. 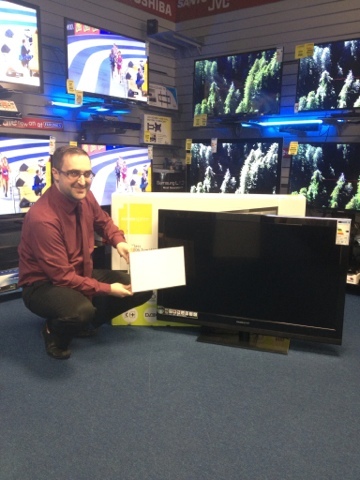 Why drop round to our Facebook page at www.facebook.com/Lunneys were you can Like our page for a chance to win a Fantastic Hannspree 42" Full 1080p HD LCD TV. 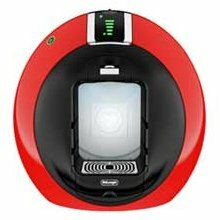 The exciting new range of Nescafe Dolce Gusto coffee makers have arrive at Lunneys Online. These great coffee makers use the Dolce Gusto pod range to create a wonderful Cafe shop quality coffee. Choose from a selection of drinks including Latte, Cappuccino, Chococino, Americano, Latte Macciato, Chai Tea Latte and many many more. You can also receive up to £30 webshop credit when you buy and register any Nescafe Dolce Gusto Play and Select machine. For new machine bought between 01.11.12 and 31.12.12. So this is the perfect time to buy that Coffee lover in your house the perfect gift for their Christmas. So why not drop by to Lunneys Online today and select from our great new range of Nescafe Dolce Gusto coffee makers. Just Arrive today. The new Delonghi EC850.M esspresso coffee maker. De'Longhi patented Automatic Cappuccino System ensures to obtain delicious "cappuccino" and "latte macchiato". After use, the milk carafe can be placed directly into the fridge. The professional filter holder, with integrated crema device is suitable for ground coffee (1 and 2 cups) and E.S.E. pods. The stand-by button permits maximum energy saving, to save money and to respect the environment. This is a fantastic machine for all you coffee lovers. With the integrated milk solution you are not just stuck with getting plain coffee, but instead impress your friends with Latte's, Cappaccino's or Americano's the choice is yours. So go on spoil yourself and get one today for only £245 with FREE standard UK and Ireland delivery!! Lovely range of Coffee machines now in store. Range includes Magimix, Delonghi and Krups Nespresso pod machines. Also bean to cup and espresso machines available. Just a quick entry for tonight. 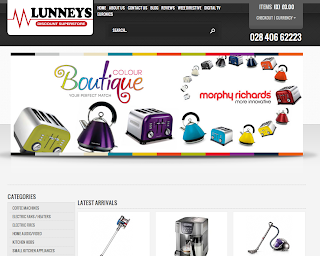 Have been working on a new web design today, why not drop by at www.lunneysonline.com and see what you think, I hope you all like the clean fresh look!! The new Nespresso Promotion now on in store and online at www.lunneysonline.com Receive £40 Club Reward with any Nespresso coffee machine bought between 5th April and 3rd of June. Why not call into our Banbridge or Portadown stores for a FREE Coffee Demo.